The four London houses were moved from Ny-London on the other side of the fjord. They were used for family housing. This hut is used for personel of Kings Bay. 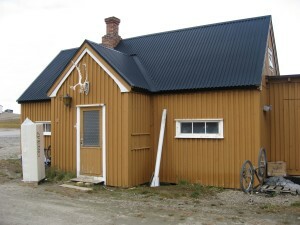 In 2008, Kings Bay started renovating this hut by removing the floor and lifting the entire hut. The carpenter had to re-use as much material as possible.